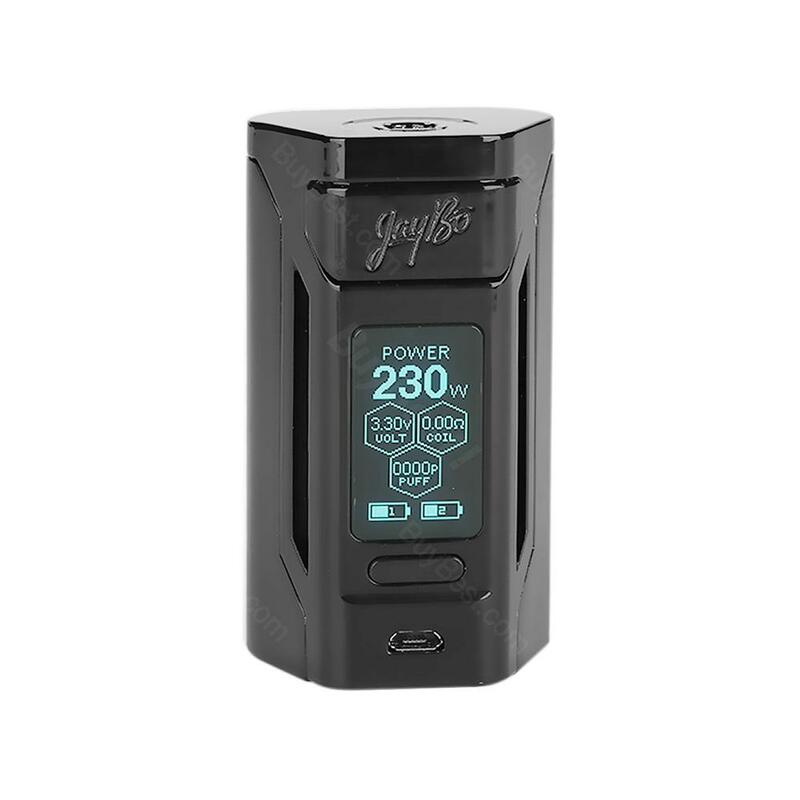 Designed by JayBo, the Reuleaux RX2 21700 from WISMEC is a new powerful TC box mod of the Reuleaux series, presented with a stylish and compact design. It runs on dual 21700 cells but is also compatible with dual 18650 batteries with a 18650 battery sleeve. The 21700 Reuleaux RX2 can fire up to 230W and features various TC modes. Plus a 1.3 inch large OLED screen and 2A quick charging, the 230W WISMEC RX2 21700 will bring an amazing vaping experience. The WISMEC Reuleaux RX2 21700 TC Mod is newly designed by JayBo, featuring a stylish appearance and compact size. It runs on dual 21700 cells but is also compatible with dual 18650 batteries with a 18650 battery sleeve. The 21700 Reuleaux RX2 can fire up to 230W and supports various TC wires and protections. In addition, the RX 21700 mod comes with a micro USB port for 2A fast charging and firmware upgrading. Together with a large fire button, a 1.3 inch clear OLED screen and a convenient push-pull battery door, the 230W WISMEC RX2 21700 will ensure you a simple yet impressive high power vaping experience. • We suggest you use it with Gnome Tank. • It doesn't come with battery, you need to buy 21700/18650 separately. Gewohnt gute Qualität, sauber verarbeitet. Ich nutze den Mod am Computer, für Unterwegs ist er mir zu schwer. 230W WISMEC Reuleaux RX2 21700 TC MOD is a good product that runs on 2 batteries, big screen,good looking, and it is excellent quality, I recommend. Sehr gut ist WISMEC Reuleaux RX2 21700 TC MOD. Preis-Leistungs-Verhältnis ist super, dass Produkt wurde wie angegeben schnell geliefert. The wismec mod's quality is second to none. Price is a little bit lower than other stores.